DC variator in 15 A, 30 A, 60 A and 90 A versions. Speed variator for direct current loads of one quadrant. Regulation is controlled with a 10 kΩ potentiometer (see control kit) or with a galvanically isolated 0-10 V variable voltage. Output voltage varies from 0-100% using a phase angle variation technique. 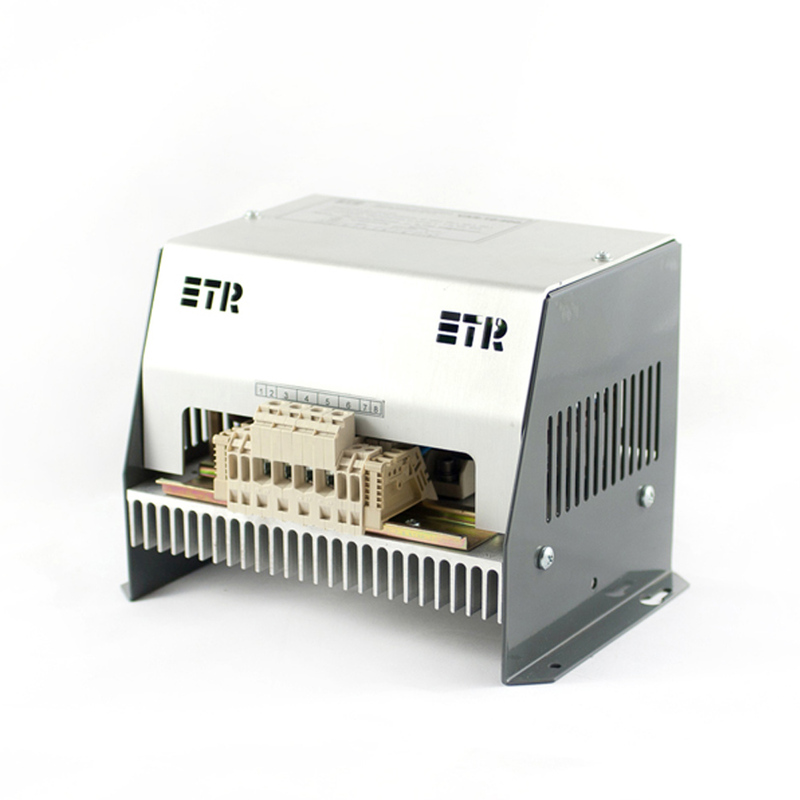 The piece of equipment is a block that includes a control card and a thyristor assembly to feed the load. The thyristors provide great electrical robustness, which makes the equipment ideal for the most demanding and severe industrial applications. The VAR 10 can be used to control DC motors, retarders, lights, heaters, electromagnets, electronic exciters or any load in which you want to regulate DC power.